Building materials move as the air temperature fluctuates and weather changes. The repetitive cycle of expansion and contraction can cause wood to crack or split. The floating construction concept reduces the chances of structural failure in frame-and-panel door systems. This design allows the panels to move without putting tremendous pressure on the rest of the unit. As a result, a door retains its perfect fit and remains stable as its panels expand and contract over time. A six-panel door is a quintessential element of many architectural designs, including Colonial and Craftsman-bungalow styles. This door design features three pairs of panels in different sizes. The upper panels are usually the smallest, the center ones are the longest, and the lower ones are medium-sized. The panels are arranged in a way that encourages visual balance. When used appropriately, Stittsville Windows and Doors believes that this door configuration can increase your house’s curb appeal and value because of historical accuracy. However, the misuse of a six-panel design or any other frame-and-panel door style may do more harm than good in terms of aesthetics. Six-panel doors are sometimes called cross-and-bible doors. The name came from the symbolism found in their configuration. Many people see the shape of a Christian cross in the intersecting middle rail and first mullion from the top. Some perceive the lower panels as an open book. Despite such divine imagery, religion has nothing to do with the evolution of the frame-and-panel construction. Traces of this design can also be found in non-Christian traditions. 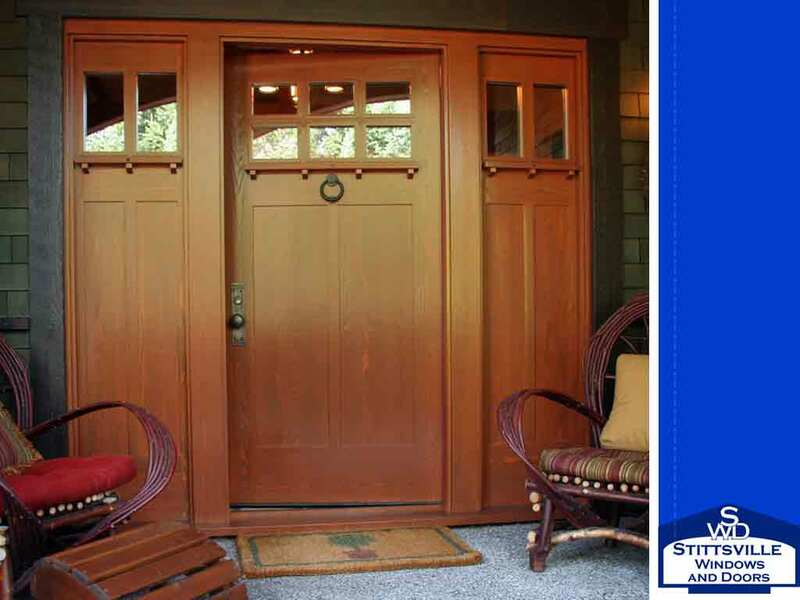 Is the frame-and-panel door right for your door installation project? Stittsville Windows and Doors can help you determine whether it’s suitable for your home or not. Call us at (613) 706-1922, or complete our contact form to schedule your consultation and get a free estimate. We serve clients in Stittsville and Kanata, ON.